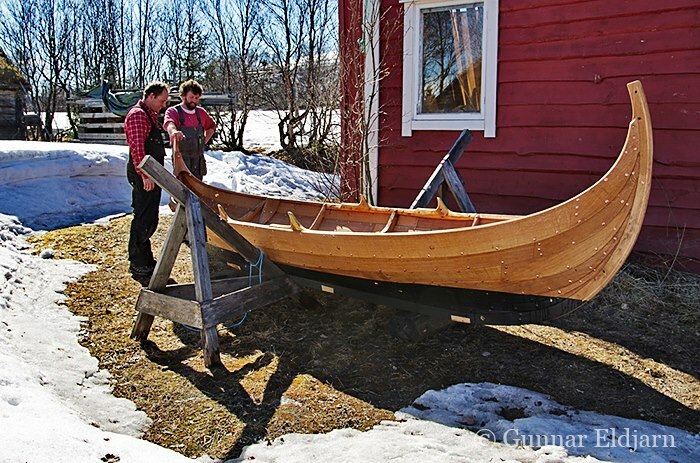 Please go see photos of the newly built 17′ Viking boat Lillebror getting ready for launch, on Facebook “Nordlandsbåt”. You will see the whole building sequence on photos taken by the Norwegian yard Nordlandsbåt, from the laying of the keel to finished boat. 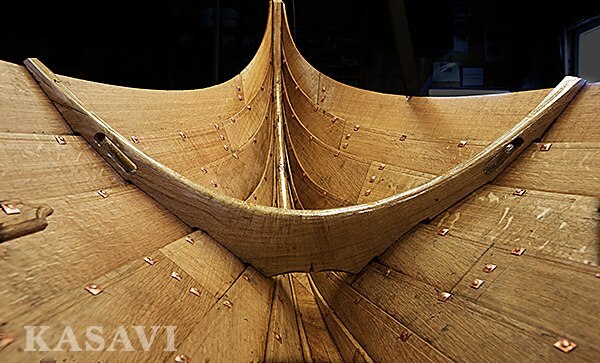 The boat has been made of best quality oak on oak frames from surplus wood from the building of the great Dragon Harald Fairhair. 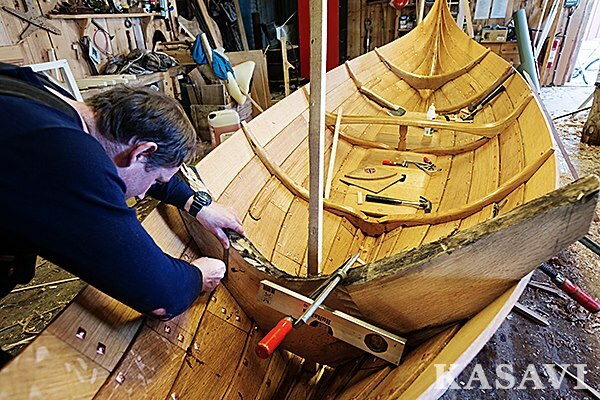 Nordlandsbåt is part of the project Viking Kings, a joint effort of the most distinguished traditional wooden boat builders of Norway which last year launched their impressive new build, the 70 ton Viking Dragon Harald Faihair. This 35 meter Viking longship is the largest dragon built in modern times. Lillebror (little brother in Scandinavian) is a downscaled Harald Fairhair built to be the new dinghy for Ebba Hård, a privately owned Swedish gaff ketch. 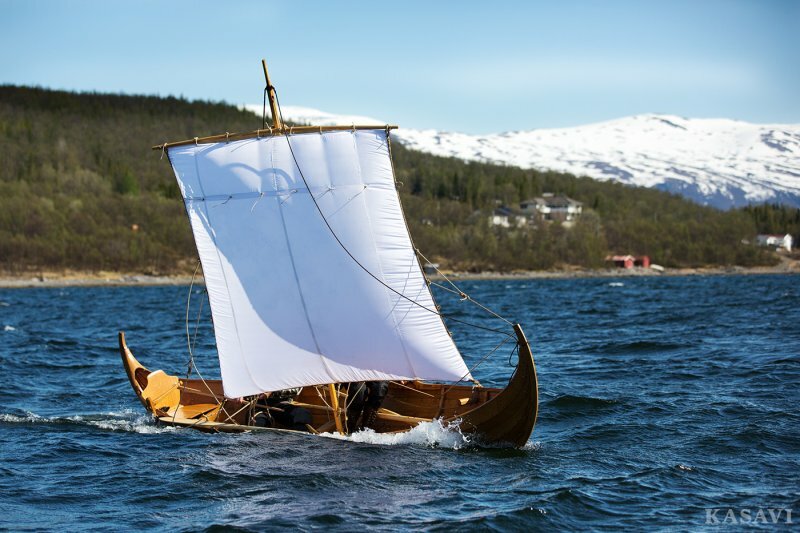 Lillebror comes with oars for two oarsmen and two sets of silk sails, one larger light weight sail for the mild breezes and a regular size stronger sail for Scandinavian weather. The boat is the first of two, both for the owner of Ebba Hård. The second boat, Oscar Hård, is a larger 55′ version of Harald Fairhair and is to be launched in 2017. The wood for Oscar Hård also stems from the surplus oak from Harald Fairhair and is safely stored at the yard until the building starts. The owner plans to sail an old Viking part sea part river trading route from Norway to Istanbul on Oscar Hård.